7Levels have today announced that members of their development team for Castle of Heart will be inviting their community to ‘Ask Them Anything’ on Reddit during an AMA Q&A session taking place on 19th March 2018. So if you have any burning questions about the upcoming Switch RPG, feel free to send them over to the dev team on Monday. The AMA will be hosted by the Lead Developer Maciej Paluszek Maciej will be joined by lead artist Ryszard Lembas. Both developers have worked in the games industry for the last 5 years and have worked together on Vikings Gone Wild and Heroes of Paragon. They will be talking about the development process and offering some insights into what goes on at the studio behind-the-scenes, in addition to whatever the Reddit community has to ask. 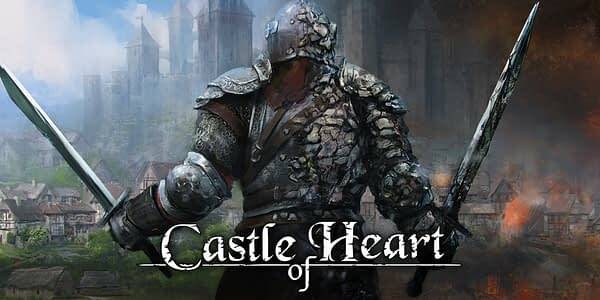 Scheduled for release on 23rd March 2018, Castle of Heart is a classic action platformer where players take control of a cursed knight who has been turned to stone by an evil sorcerer’s spell. Our brave hero must travel all the way from their petrified village to the dark ruler’s castle, mastering each of the levels along the way. The AMA is scheduled for March 19th at 1pm EST/6pm GMT/7pm CET.